The impact of pressure on industrial processes would be difficult to understate. Pressure is an element of process control that can affect performance and safety. Understanding pressure concepts and how to effectively measure pressure within a process are key to any operator's success. Yokogawa, a globally recognized leader in process measurement and control, has made available a handbook on pressure that covers a range of useful topics. The content starts with the very basic concepts and moves quickly to practical subjects related to process measurement and control. The handbook will prove useful to readers at all levels of expertise. Share your process measurement challenges with application specialists, combining your process knowledge with their product application expertise to develop effective solutions. Pressure Handbook for Industrial Process Measurement and Control from Miller Energy, Inc.
Sanitary fluid process operations require the use of valves with unique characteristics that make them suitable for use. Materials of construction, FDA approved materials for seals, clean draining, and no retainage of the process fluid are some of the requirements for sanitary valves. Pharma and other bioprocess industries, including food and beverage, will also have stringent requirements for sterilizing or cleaning in place. One manufacturer, Habonim, a globally recognized manufacturer of high quality ball valves, offers a complete line of ball valves specifically designed for sanitary process applications. The TuBore™ valve series is available in line sizes from 1/4" to 6" with clamped or welded connections and available with manual operator, pneumatic or electric actuation. The datasheet included below provides more detail and specifications. Share your sanitary fluid process control requirements and challenges with product specialists. Combining your process knowledge with their product application expertise will produce effective solutions. 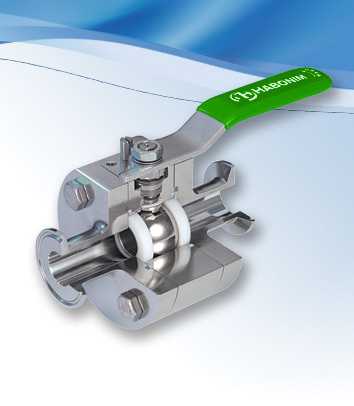 Sanitary Ball Valves for Biotech and Pharma Applications from Miller Energy, Inc. Accurate measurement of fluid flow is a process requirement in many industrial operations. There are numerous methods employed in the measurement of fluid flow, of which the McCrometer V-Cone® is one entry with very particular advantages. 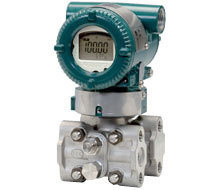 Whether the application involves liquid, steam, or gas, this flow meter design, with its own flow conditioning built in, provides exceptional differential pressure flow measurements in a space saving format. The video provides a clear illustration of how the V-Cone® design conditions fluid flow in order to provide better DP measurement performance. Share your flow measurement challenges with application specialists, combining your process expertise with their depth of product application knowledge to develop effective solutions. An electronic displacer liquid level transmitter is intended for industrial applications requiring the continuous measurement of liquid level in a tank, vessel, or other containing space. The movement of the core within the LVDT generates an electrical signal which is further processed and serves as the output of the transmitter. The unit is designed to be externally mounted on a tank. Isolation valves are recommended. The spring technology employed as a counterforce to the buoyancy of the displacer results in a stable signal that is not impacted greatly by vibration, agitation, or turbulence of the measured liquid. The video below provides more detail, covering the features and advantages of this level measurement technology and the Magnetrol instrument. Share your level measurement challenges and requirements with a product application specialist. The combination of your process knowledge and their product application expertise will produce effective solutions.